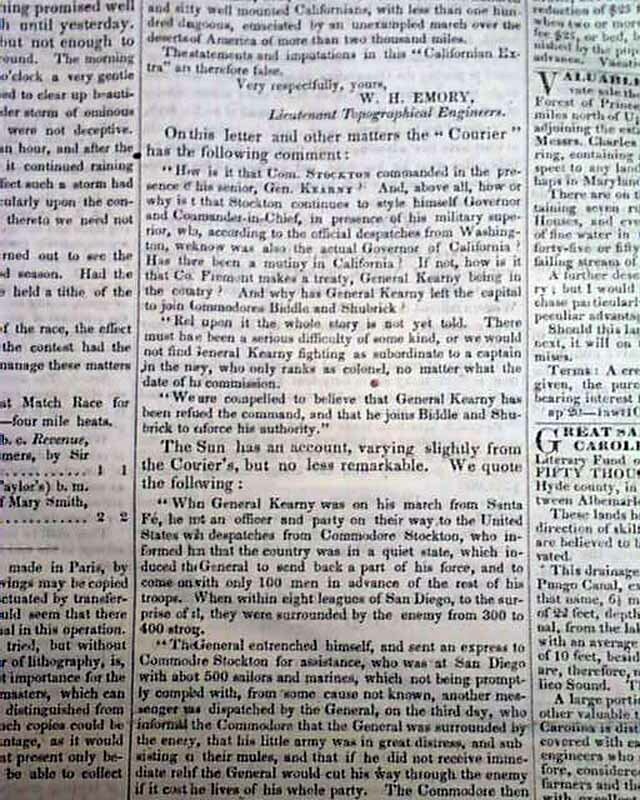 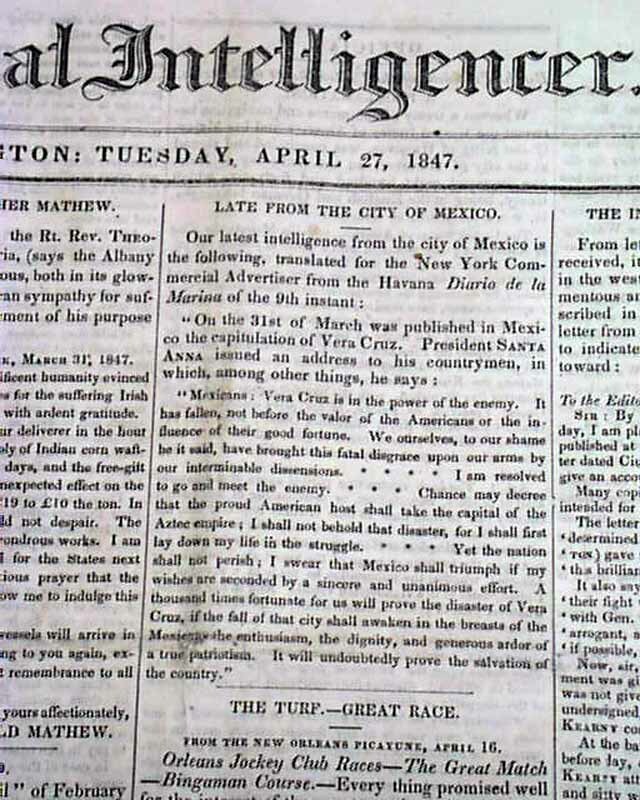 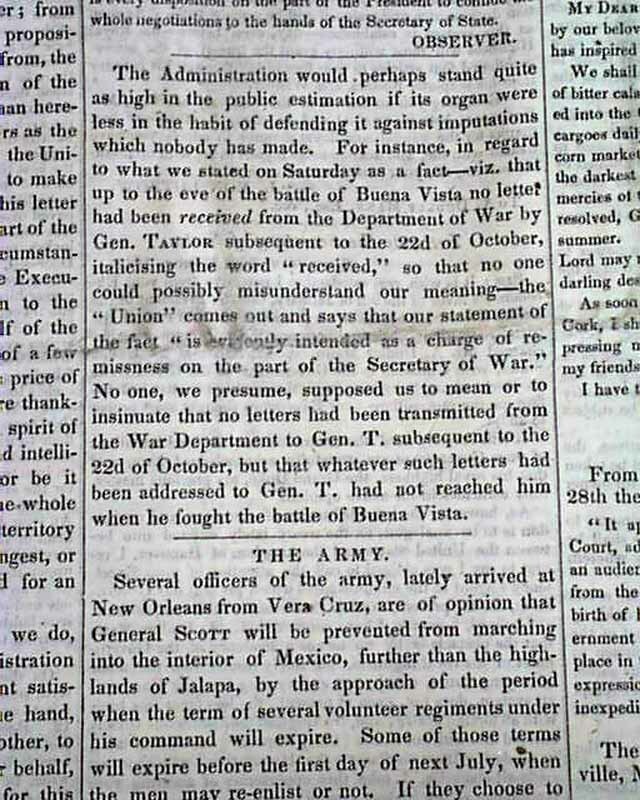 The front page has: "The Army" "Late from the City of Mexico" which references the fall of Vera Cruz. 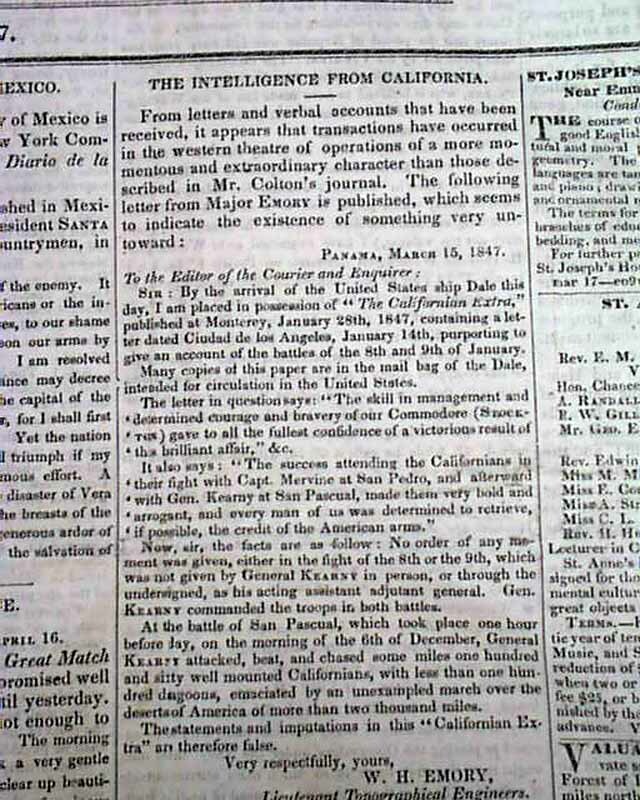 Also: "Intelligence From California" which has a wealth of content taking almost a full column (early for California news). 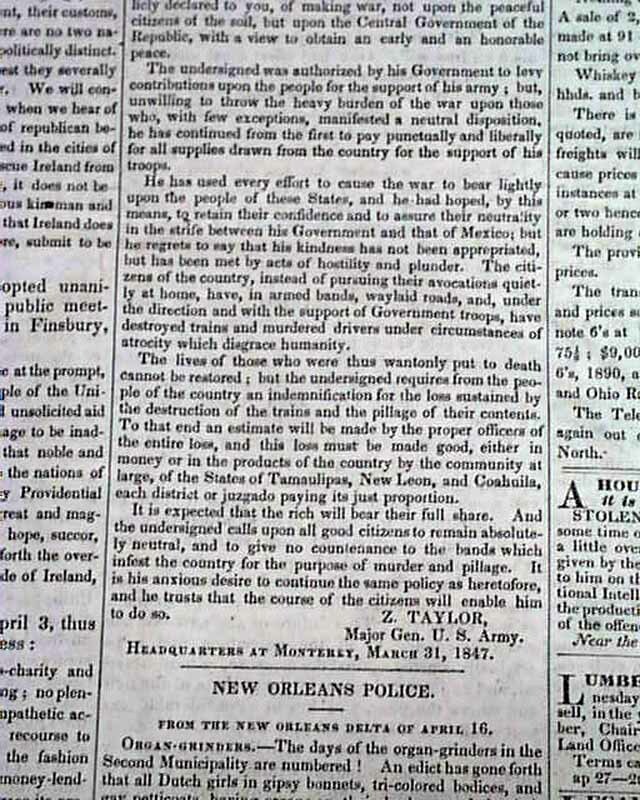 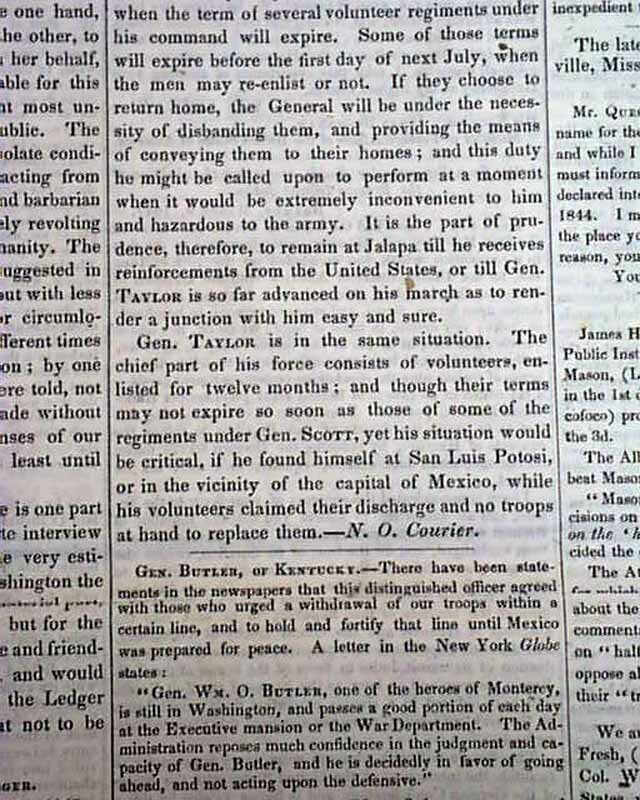 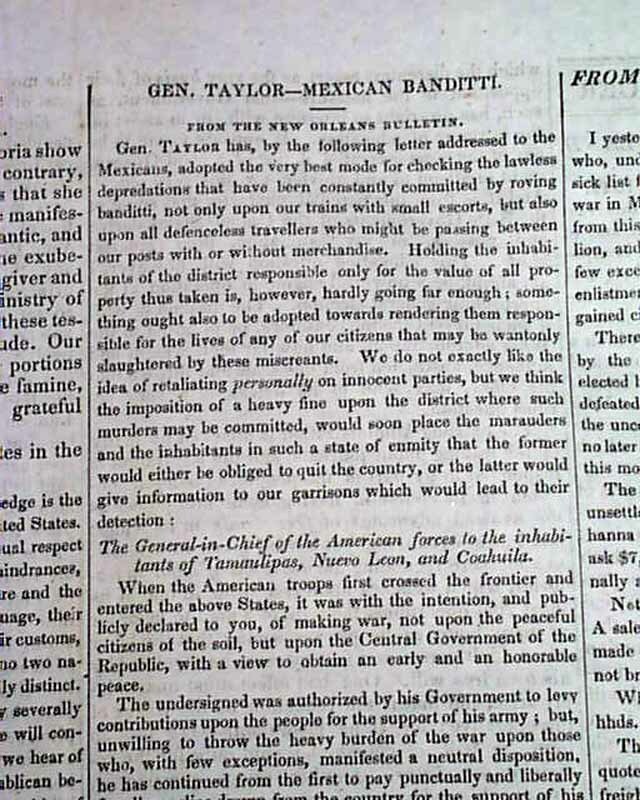 More news concerning the Mexican War on inside pages including: "Gen. Taylor--Mexican Banditti" which is signed in type: Z. Taylor. 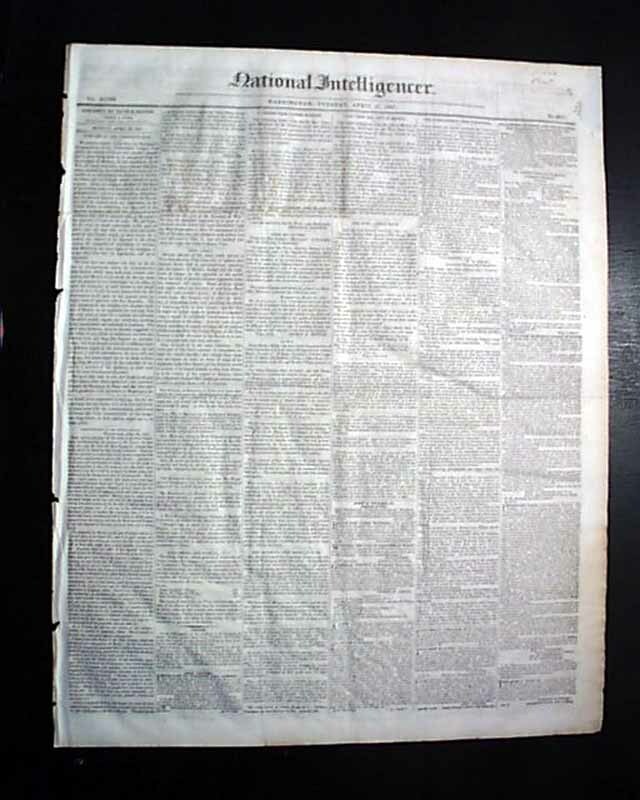 Four pages, small piece from a blank margins, good condition.